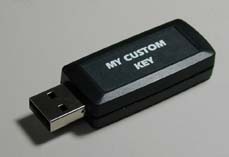 The Crossware S346E4 Fully Programmable USB Key provides a platform for a completely custom USB key solution. The 25-MIPS 8-bit microcontroller is fully programmable and its 64kBytes of securable flash memory can be used to store both your custom program and your secret data. The flash memory is in-system reprogrammable and so your secret data can be updated on the fly and a suitable boot loader will allow your application to be updated in the field. 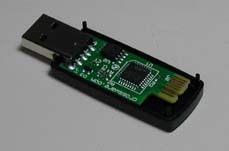 A 4MBit flash memory chip connected to the microcontrollers SPI bus provides additional data storage and also contains a unique factory programmed 64-byte device identifier. We can provide all Windows based programming tools including C compiler, assembler, linker and libraries, code creation wizards, source level simulator, source level debugger, USB debugger interface and advanced integrated development environment. 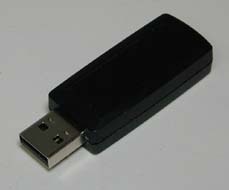 This includes examples of USB human interface device (HID), mass storage device and bulk interfaces. Examples written in both MFC (Microsoft Foundation Classes) and the Qt framework (http://www.qt.io) illustrate communications with the S346E4 key via the HID interface. Keys with up to 64MBit (8MByte) of DataFlash can be optionally supplied.